If I ask you to name a true fashionista of today, what would be your answer? 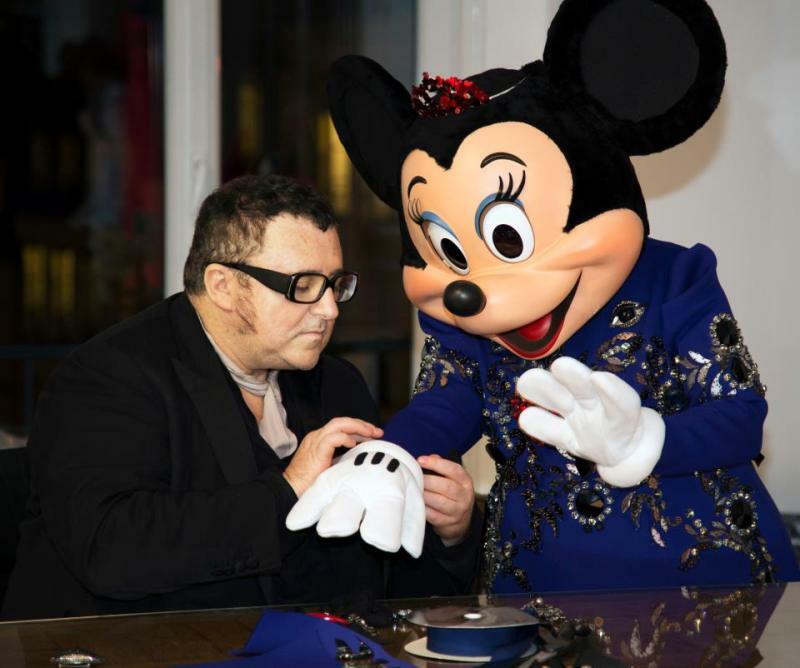 Well, you all have a reason, yet a famed fashion designer Alber Elbaz of Lanvin believes that her name is Minnie. Yes, Minnie Mouse. Two modern stars - the face of Disneyland and the brain of Lanvin - paired together to develop an extra special dress for a cartoon hero. Finally our beloved Minnie can exhale and throw her polka dot dress away (the further the better, in fact). A brand video shows a not-so-skinny Minnie selecting the fabric and working with Elbaz on the design idea. Her new outfit is a TESSful blue piece decorated with dazzling jewels and shinny sequins, that go fully in line with Minnie's style. Disney has announced that Minnie will be leading a fashion show held at the theme park on March 23rd, 2013. Such a lovely and innovative post! Hey Malwina, thanks for your sweet words! I am always up to be in touch with fresh 'n inspirational bloggers! Let's keep in touch!